Many people are interested in visiting The Youth Initiative Program for various reasons. Perhaps you want to better understand the program or visit a friend or relative who is participating? In any case, we want to make you feel welcome and at home. Below we offer an overview of the options you have while visiting YIP. What are good times to visit? Some of the courses are open to the public, a great opportunity to experience YIP for a week! Please note that all other courses are designed specifically for YIP participants and are not open to the public. The Initiative Forum is an annual, week-long forum with contributors, initiatives, alumni, participants, projects, dialogue, music, and much more. It is an excellent way to get to know YIP and it’s network! Visit initiativeforum.yip.se for more information. Please note: Due to program changes there will be no Initiative Forum in 2018. You are of course welcome to visit YIP anytime the program is running in its Sweden location, however advanced notice is appreciated. If you are planning a visit, please contact [email protected] to make arrangements. You can reach Järna easily from Stockholm and take the bus or drive to Ytterjärna. Ytterjärna Hotel is a retreat and conference hotel in Ytterjärna, about 3 minutes walk from where the YIP courses take place on the campus and right next to the culture house. The accommodation ranges from single rooms to suites. More information here. YIP participants and staff eat lunch and dinner together in the YIP dining house. Joining these meals costs 50 SEK per person for lunch and 50 SEK per person for dinner. 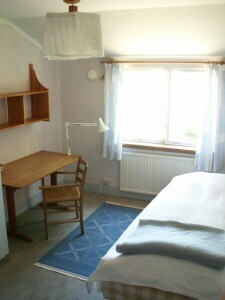 If you are staying overnight you can eat breakfast with the YIP participants for 20 SEK per person. You will need to book these meals at least a week in advance, but you can pay for them on site. Vegetarian, vegan and gluten- free options are available when booked a week in advance. All YIP meals are 100% organic and seasonal. To book meals contact [email protected] .